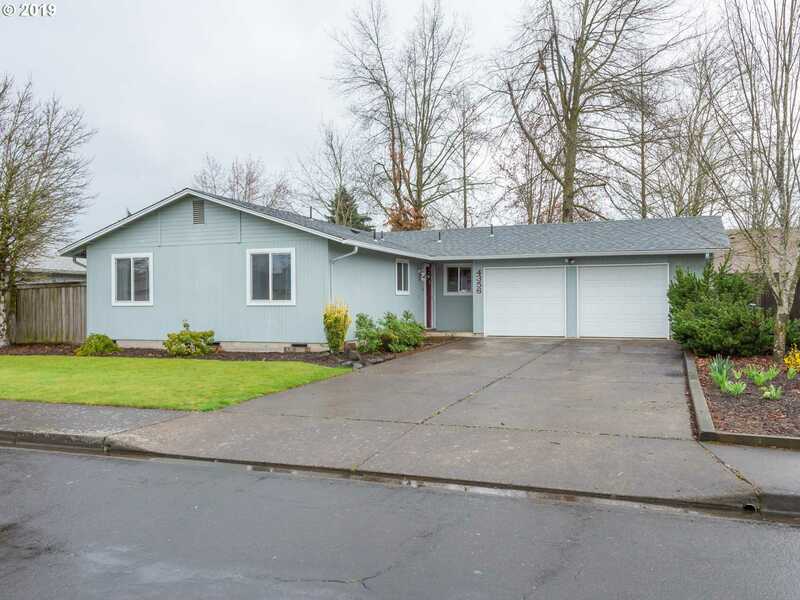 Well maintained single level home in West Eugene. This 3 bedroom home offers a functional layout, 2 car garage and extra deep driveway with plenty of parking. Off the dining room is a sliding glass door that opens to a large backyard for the upcoming summer BBQ’s. Home is nestled in a quiet neighborhood, but close to shopping and parks. Call today to arrange a showing. Please, send me more information on this property: MLS# 19529111 – $240,000 – 4356 Hilton Dr, Eugene, OR 97402. I would like to schedule a private showing for this property: MLS# 19529111 – $240,000 – 4356 Hilton Dr, Eugene, OR 97402.